Plympton teenager Jasmine Bayly has welcomed a pioneering new research centre which will bring hope to thousands who, like her, are living with the terrifying uncertainty of a benign brain tumour. The 15-year-old, whose inoperable tumour was diagnosed two years ago, toured the laboratories where groundbreaking work is taking place and met the scientists dedicated to improving outcomes for patients and, ultimately, finding a cure. Jasmine and her mother Sandra, 45, of Rhodes Close, were at the launch on Thursday 20 November of a new Brain Tumour Research Centre of Excellence in Plymouth to hear how the work taking place could help those living with low-grade tumours. They were among patients, carers, scientists, clinicians and charities from across the UK who gathered for the launch of the historic new partnership between the charity Brain Tumour Research and the University of Plymouth. Together they have established a new Research Centre of Excellence, bringing a sharp focus on some of the most overlooked forms of brain tumours. Around 4,300 people are diagnosed with a low-grade brain tumour in the UK each year. Generally referred to as benign, these types of brain tumour, which include meningioma, ependymoma and acoustic neuroma, are graded 1 or 2 on a scale of 4. The lower grade tumours are non-cancerous whereas grades 3 and 4 are cancerous, faster growing and often more immediately life-threatening. 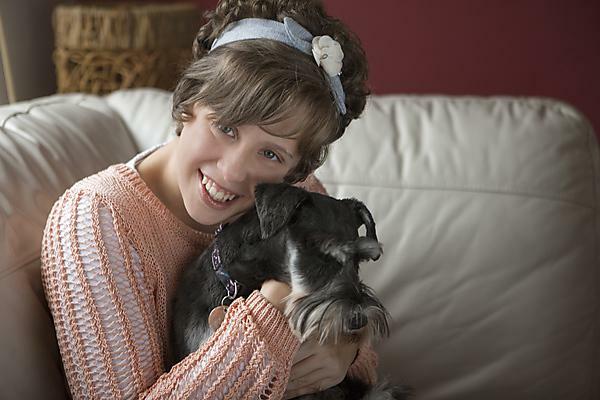 This uncertainty causes particular problems for Jasmine, whose brain tumour was diagnosed five years after she learned she had the genetic condition Neurofibromatosis 1 (NF1) which has no cure. Depending on its severity, NF1 can cause tumours to grow on the end of nerve sheaths throughout the body and can lead to severe or life-threatening medical problems. The new Centre of Excellence will sit within University of Plymouth Faculty of Medicine and Dentistry and will be led by Professor Oliver Hanemann. Already holding a reputation as a leading facility in Europe looking at low-grade brain tumours, the team will be able to further advance to translational research – taking research from the laboratory bench to drug testing and clinical trials. This will include exploring potential for the repurposing of existing drugs to ‘fast-track’ potential treatments, instead of waiting for new drugs to be developed, tested and trialled and passed for patient use – a process that can take a decade or longer. With secure long-term funding from Brain Tumour Research, Professor Hanemann’s team will be freed from the limitations and frustrations of applying for one specific project grant after another, able instead to pursue the sustainable and continuous research so desperately needed. Generous civic support is already being given across the city, including from the University of Plymouth partners Plymouth Albion RFC, Plymouth Raiders, Devon Junior and Minor Football League and Santander. Brain Tumour Research currently helps fund – through corporate and public fundraising – an annual £1 million programme of research at their Centre of Excellence at the University of Portsmouth. This relationship with the University of Plymouth, along with additional new partnerships at Queen Mary University, London and Imperial College in London, will pave the way for a £20 million investment in brain tumour research over the next five years.